From Spanish Square to Castel S. Angelo. 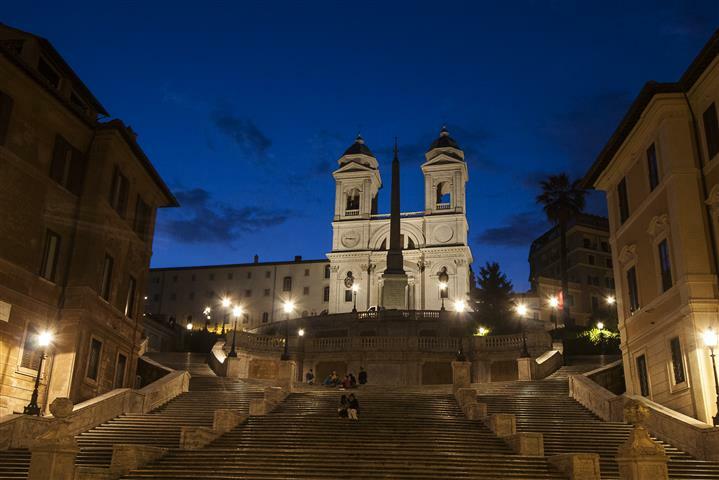 Did you know that ……..
Spanish Square once used to be called “Piazza di Francia” in the northern part, and “Piazza di Spagna” in the rest. In fact, the northern part belonged to the French, while in the other part there was the Spanish Embassy to the Holy See. Legend tells that who throws a coin into the fountain standing back towards it, makes sure to go back to Rome or even find a love throwing two or getting married if he launches three. All year long about one million euros are on average collected. What are they going? Since 2007 they have been donated to Caritas and other charitable associations. On a column of the Temple of Hadrian, at Piazza di Pietra is just perceptible, two meters high, the bas-relief of a Christ. Who carved it? Constantine Maes speculated that it was carved by a Christian stonecutter that in ancient times lived in one of the houses built in front of the temple. : From the B&B “All’Ombra di San Pietro” to Piazza di Spagna: Take Metro A “Valle Aurelia” station for 5 stops, 8 minutes and get off at “Spagna” station.